Delightful cottage in great village location. Beautiful cottage in a beautiful location. The decour in the cottage is lovely, it has everything you could possibly need and the log burner keeps you warm and cozy after a day walking in the hills. 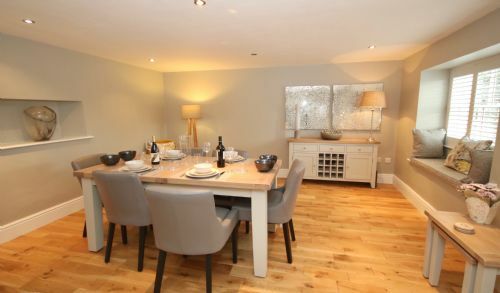 This is a beautifully appointed cottage in a delightful village. There are also many excellent walks in the vicinity with a very friendly pub for refreshment afterwards! Beautiful location. Attention to detail was amazing , even down to the kitchenware.. could not fault at all... we felt very privileged to stay in such a lovely cottage . Thank you mill cottages ... just perfect. Property is beautifully furnished with all mod cons. The only issue for some may the spiral staircase. We thoroughly enjoyed our stay.